Figure 1 The next full-margin rupture of the Cascadia subduction zone will spell the worst natural disaster in the history of the continent. When Goldfinger looked at his watch, it was quarter to three. The conference was wrapping up for the day. He was thinking about sushi. The speaker at the lectern was wondering if he should carry on with his talk. The earthquake was not particularly strong. Then it ticked past the sixty-second mark, making it longer than the others that week. The shaking intensified. The seats in the conference room were small plastic desks with wheels. Goldfinger, who is tall and solidly built, though, No way am I crouching under one of those for cover. At a minute and a half, everyone in the room got up and went outside. It was March. There was a chill in the air, and snow flurries, but no snow on the ground. Nor, from the feel of it, was there ground on the ground. The earth snapped and popped and rippled. It was, Goldfinger thought, like driving through rocky terrain in a vehicle with no shocks, if both the vehicle and the terrain were also on a raft in high seas. The quake passed the two-minute mark. The trees, still hung with the previous autumn’s dead leaves, were making a strange rattling sound. The flagpole atop the building he and his colleagues had just vacated was whipping through an arc of forty degrees. The building itself was base-isolated, a seismic-safety technology in which the body of a structure rests on movable bearings rather than directly on its foundation. Goldfinger lurched over to take a look. The base was lurching, too, back and forth a foot at a time, digging a trench in the yard. He thought better of it and lurched away. His watch swept past the three-minute mark and kept going. Goldfinger thought, although not in dread, at first: in amazement. For decades, seismologists had believed that Japan could not experience an earthquake stronger than magnitude 8.4. In 2005, however, at a conference in Hokudan, a Japanese geologist named Yasutaka Ikeda had argued that the nation should expect a magnitude 9.0 in the near future— with catastrophic consequences, because Japan’s famous earthquake-and-tsunami preparedness, including the height of its sea walls, was based on incorrect science. The presentation was met with polite applause and thereafter largely ignored. Now, Goldfinger realized as the shaking hit the four-minute mark, the planet was proving the Japanese Cassandra right. Most people in the United States know just one fault line by name: the San Andreas, which runs nearly the length of California and is perpetually rumored to be on the verge of unleashing “the big one.” That rumor is misleading, no matter what the San Andreas ever does. Every fault line has an upper limit to its potency, determined by its length and width, and by how far it can slip. For the San Andreas, one of the most extensively studied and best understood fault lines in the world, that upper limit is roughly an 8.2—a powerful earthquake, but, because the Richter scale is logarithmic, only six percent as strong as the 2011 event in Japan. Without moving your hands, curl your right knuckles up, so that they point toward the ceiling. Under pressure from Juan de Fuca, the stuck edge of North America is bulging upward and compressing eastward, at the rate of, respectively, three to four millimeters and thirty to forty millimeters a year. It can do so for quite some time, because, as continent stuff goes, it is young, made of rock that is still relatively elastic. (Rocks, like us, get stiffer as they age.) But it cannot do so indefinitely. There is a backstop—the craton, that ancient unbudgeable mass at the center of the continent—and, sooner or later, North America will rebound like a spring. If on that occasion, only the southern part of the Cascadia subduction zone gives way—your first two fingers, say—the magnitude of the resulting quake will be somewhere between 8.0 and 8.6. That’s the big one. If the entire zone gives way at once, an event that seismologists call a full-margin rupture, the magnitude will be somewhere between 8.7 and 9.2. That’s the very big one. In the Pacific Northwest, everything west of Interstate 5 covers some hundred and forty thousand square miles, including Seattle, Tacoma, Portland, Eugene, Salem (the capital city of Oregon), Olympia (the capital of Washington), and some seven million people. When the next full-margin rupture happens, that region will suffer the worst natural disaster in the history of North America. Roughly three thousand people died in San Francisco’s 1906 earthquake. Almost two thousand died during Hurricane Katrina. Almost three hundred died in Hurricane Sandy. FEMA projects that nearly thirteen thousand people will die in the Cascadia earthquake and tsunami. Another twenty-seven thousand will be injured, and the agency expects that it will need to provide shelter for a million displaced people, and food and water for another two and a half million. “This is one time that I’m hoping all the science is wrong, and it won’t happen for another thousand years,” Murphy says. In May of 1804, Meriwether Lewis and William Clark, together with their Corps of Discovery, set off from St. Louis on America’s first official cross-country expedition. Eighteen months later, they reached the Pacific Ocean and made camp near the present-day town of Astoria, Oregon. The United States was, at the time, twenty-nine years old. Canada was not yet a country. The continent’s far expanses were so unknown to its white explorers that Thomas Jefferson, who commissioned the journey, thought that the men would come across woolly mammoths. Native Americans had lived in the Northwest for millennia, but they had no written language, and the many things to which the arriving Europeans subjected them did not include seismological inquiries. The newcomers took the land they encountered at face value, and at face value, it was a find: vast, cheap, temperate, fertile, and, to all appearances, remarkably benign. The Pacific Northwest sits squarely within the Ring of Fire. Off its coast, an oceanic plate is slipping beneath a continental one. Inland, the Cascade volcanoes mark the line where, far below, the Juan de Fuca plate is heating up and melting everything above it. 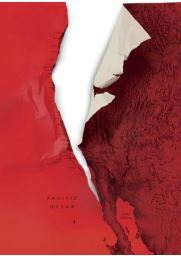 In other words, the Cascadia subduction zone has, as Goldfinger put it, “all the right anatomical parts.” Yet not once in recorded history has it caused a major earthquake—or, for that matter, any quake to speak of. By contrast, other subduction zones produce major earthquakes occasionally and minor ones all the time: magnitude 5.0, magnitude 4.0, magnitude why are the neighbors moving their sofa at midnight. You can scarcely spend a week in Japan without feeling this sort of earthquake. You can spend a lifetime in many parts of the Northwest—several, in fact, if you had them to spend— and not feel so much as a quiver. The question facing geologists in the nineteen-seventies was whether the Cascadia subduction zone had ever broken its eerie silence. In the late nineteen-eighties, Brian Atwater, a geologist with the United States Geological Survey, and a graduate student named David Yamaguchi found the answer and another major clue in the Cascadia puzzle. Their discovery is best illustrated in a place called the ghost forest, a grove of western red cedars on the banks of the Copalis River, near the Washington coast. When I paddled out to it last summer, with Atwater and Yamaguchi, it was easy to see how it got its name. The cedars are spread out across a low salt marsh on a wide northern bend in the river, long dead but still standing. Leafless, branchless, barkless, they are reduced to their trunks and worn to a smooth silver-gray, as if they had always carried their own tombstones inside them. But it did not. If you travel five thousand miles due west from the ghost forest, you reach the northeast coast of Japan. As the events of 2011 made clear, that coast is vulnerable to tsunamis, and the Japanese have kept track of them since at least 599 A.D. In that fourteen-hundred-year history, one incident has long stood out for its strangeness. On the eighth day of the twelfth month of the twelfth year of the Genroku era, a six-hundred-mile-long wave struck the coast, leveling homes, breaching a castle moat, and causing an accident at sea. The Japanese understood that tsunamis were the result of earthquakes, yet no one felt the ground shake before the Genroku event. The wave had no discernible origin. 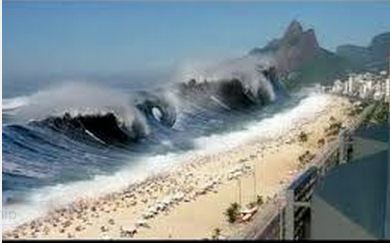 When scientists began studying it, they called it an orphan tsunami. Finally, in a 1996 article in Nature, a seismologist named Kenji Satake and three colleagues, drawing on the work of Atwater and Yamaguchi, matched that orphan to its parent—and thereby filling in the blanks in the Cascadia story with uncanny specificity. At approximately nine o’ clock at night on January 26, 1700, a magnitude-9.0 earthquake struck the Pacific Northwest, causing sudden land subsidence, drowning coastal forests, and, out in the ocean, lifting up a wave half the length of a continent. It took roughly fifteen minutes for the Eastern half of that wave to strike the Northwest coast. It took ten hours for the other half to cross the ocean. It reached Japan on January 27, 1700: by the local calendar, the eighth day of the twelfth month of the twelfth year of Genroku. Goldfinger told me this in his lab at Oregon State, a low prefab building that a passing English major might reasonably mistake for the maintenance department. Inside the lab is a walk-in freezer. Inside the freezer are floor-to-ceiling racks filled with cryptically labeled tubes, four inches in diameter and five feet long. Each tube contains a core sample of the seafloor. Each sample contains the history, written in seafloors, of the past ten thousand years. During subduction-zone earthquakes, torrents of a land rush off the continental slope, leaving a permanent deposit on the bottom of the ocean. By counting the number and the size of deposits in each sample, then comparing their extent and consistency along the length of the Cascadia subduction zone, Goldfinger and his colleagues were able to determine how much of the zone has ruptured, how often, and how drastically. The first sign that the Cascadia earthquake has begun will be a compressional wave, radiating outward from the fault line. Compressional waves are fast-moving, high-frequency waves, audible to dogs and certain other animals but experienced by humans only as a sudden jolt. They are not very harmful, but they are potentially very useful since they travel fast enough to be detected by sensors thirty to ninety seconds ahead of other seismic waves. That is enough time for earthquake early-warning systems, such as those in use throughout Japan, to automatically perform a variety of lifesaving functions: shutting down railways and power plants, opening elevators and firehouse doors, alerting hospitals to halt surgeries, and triggering alarms so that the general public can take cover. The Pacific Northwest has no early-warning system. When the Cascadia earthquake begins, there will be, instead, a cacophony of barking dogs and a long, suspended, what-was-that moment before the surface waves arrive. Surface waves are slower, lower-frequency waves that move the ground both up and down and side to side: the shaking, starting in earnest. Soon after that shaking begins, the electrical grid will fail, likely everywhere west of the Cascades and possibly well beyond. If it happens at night, the ensuing catastrophe will unfold in darkness. In theory, those who are at home when it hits should be safest; it is easy and relatively inexpensive to seismically safeguard a private dwelling. But, lulled into nonchalance by their seemingly benign environment, most people in the Pacific Northwest have not done so. That nonchalance will shatter instantly. So will everything made of glass. Anything indoors and unsecured will lurch across the floor or come crashing down: bookshelves, lamps, computers, canisters of flour in the pantry. Refrigerators will walk out of kitchens, unplugging themselves and toppling over. Water heaters will fall and smash interior gas lines. Houses that are not bolted to their foundations will slide off—or, rather, they will stay put, obeying inertia, while the foundations, together with the rest of the Northwest, jolt westward. Unmoored on the undulating ground, the homes will begin to collapse. Across the region, other, larger structures will also start to fail. Until 1974, the state of Oregon had no seismic code, and few places in the Pacific Northwest had one appropriate to a magnitude-9.0 earthquake until 1994. The vast majority of buildings in the region were constructed before then. Ian Madin, who directs the Oregon Department of Geology and Mineral Industries (DOGAMI), estimates that seventy-five percent of all structures in the state are not designed to withstand a major Cascadia quake. FEMA calculates that, across the region, something on the order of a million buildings—more than three thousand of them schools—will collapse or be compromised in the earthquake. So will half of all highway bridges, fifteen of the seventeen bridges spanning Portland’s two rivers, and two-thirds of railways and airports; also, one-third of all fire stations, half of all police stations, and two-thirds of all hospitals. Certain disasters stem from many small problems conspiring to cause one very large problem. For want of a nail, the war was lost; for fifteen independently insignificant errors, the jetliner was lost. Subduction-zone earthquakes operate on the opposite principle: one enormous problem causes many other enormous problems. The shaking from the Cascadia quake will set off landslides throughout the region—up to thirty thousand of them in Seattle alone, the city’s emergency management office estimates. It will also induce a process called liquefaction, whereby seemingly solid ground starts behaving like a liquid, to the detriment of anything on top of it. Fifteen percent of Seattle is built on liquefiable land, including seventeen day-care centers and the homes of some thirty-four thousand five hundred people. So is Oregon’s critical energy-infrastructure hub, a six-mile stretch of Portland through which flows ninety percent of the state’s liquid fuel and which houses everything from electrical substations to natural-gas terminals. Together, the sloshing, sliding, and shaking will trigger fires, flooding, pipe failures, dam breaches, and hazardous-material spills. Anyone of these second-order disasters could swamp the original earthquake in terms of cost, damage, or casualties—and one of them definitely will. Four to six minutes after the dogs start barking, the shaking will subside. For another few minutes, the region, upended, will continue to fall apart on its own. Then the wave will arrive, and the real destruction will begin. To see the full scale of the devastation when that tsunami recedes, you would need to be in the international space station. The inundation zone will be scoured of structures from California to Canada. The earthquake will have wrought its worst havoc west of the Cascades but caused damage as far away as Sacramento, California—as distant from the worst-hit areas as Fort Wayne, Indiana, is from New York. FEMA expects to coördinate search-and-rescue operations across a hundred thousand square miles and in the waters of four hundred and fifty-three miles of coastline. As for casualties: the figures I cited earlier—twenty-seven thousand injured, almost thirteen thousand dead—are based on the agency’s official planning scenario, which has the earthquake striking at 9:41 A.M. on February 6th. If, instead, it strikes in the summer, when the beaches are full, those numbers could be off by a horrifying margin. How much all this will cost is anyone’s guess; FEMA puts every number on its relief-and recovery plan except a price. But whatever the ultimate figure—and even though U.S. taxpayers will cover seventy-five to a hundred percent of the damage, as happens in declared disasters— the economy of the Pacific Northwest will collapse. Crippled by a lack of basic services, businesses will fail or move away. Many residents will flee as well. OSSPAC predicts a mass- displacement event and a long-term population downturn. Chris Goldfinger didn’t want to be there when it happened. But, by many metrics, it will be as bad or worse to be there afterward. This problem is bidirectional. The Cascadia subduction zone remained hidden from us for so long because we could not see deep enough into the past. It poses a danger to us today because we have not thought deeply enough about the future. That is no longer a problem with information; we now understand very well what the Cascadia fault line will someday do. Nor is it a problem of imagination. If you are so inclined, you can watch an earthquake destroy much of the West Coast this summer in Brad Peyton’s “San Andreas,” while, in neighboring theatres, the world threatens to succumb to Armageddon by other means: viruses, robots, resource scarcity, zombies, aliens, plague. As those movies attest, we excel at imagining future scenarios, including awful ones. But such apocalyptic visions are a form of escapism, not a moral summons, and still less a plan of action. Where we stumble is in conjuring up grim futures in a way that helps to avert them. The last person I met within the Pacific Northwest was Doug Dougherty, the superintendent of schools for Seaside, which lies almost entirely within the tsunami-inundation zone. Of the four schools that Dougherty oversees, with a total student population of sixteen hundred, one is relatively safe. The others sit five to fifteen feet above sea level. When the tsunami comes, they will be as much as forty-five feet below it. In 2009, Dougherty told me, he found some land for sale outside the inundation zone and proposed building a new K-12 campus there. Four years later, to foot the hundred-and-twenty-eight-million-dollar bill, the district put up a bond measure. The tax increase for residents amounted to two dollars and sixteen cents per thousand dollars of property value. The measure failed by sixty-two percent. Dougherty tried seeking help from Oregon’s congressional delegation but came up empty. The state makes money available for seismic upgrades, but buildings within the inundation zone cannot apply. At present, all Dougherty can do is make sure that his students know how to evacuate. Dougherty’s office is deep inside the inundation zone, a few blocks from the beach. All day long, just out of sight, the ocean rises up and collapses, spilling foamy overlapping ovals onto the shore. Eighty miles farther out, ten thousand feet below the surface of the sea, the hand of a geological clock is somewhere in its slow sweep. All across the region, seismologists are looking at their watches, wondering how long we have, and what we will do before geological time catches up to our own. This entry was posted on July 15, 2015 by Kayak Rentals & Sustainable Living.